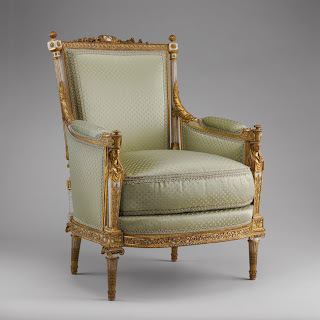 This armchair is part of a set that consisted of a daybed, four armchairs, a bergère, a footstool, and a fire screen made for Marie Antoinette's cabinet de toilette (dressing room) at the Château of Saint Cloud in 1788. 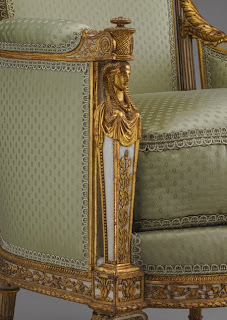 This set was originally upholstered with material that was embroidered by the queen herself. 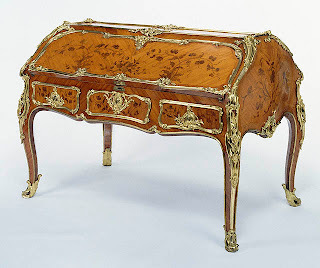 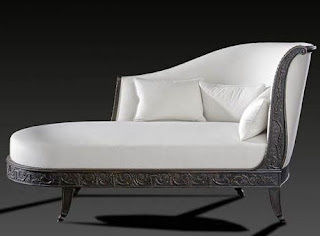 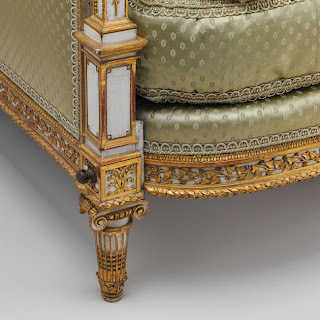 The frame of the bergère is finely carved with acanthus and ivy leaves, rosettes, and—on the arm supports—Egyptian term figures. 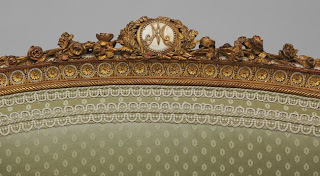 The back rail is crowned by a cartouche with the initials of Marie Antoinette.